Right click and select “add user group” in configuration toolbar under edit mode. Check and set PTZ control priority and all other configuration as you desire. PTZ priority is defined by numbers 1-10 with 1 for the highest priority. 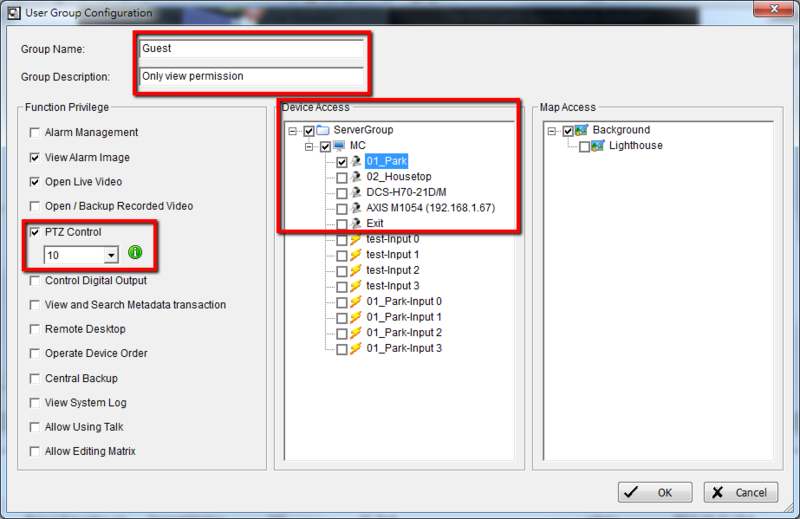 User with higher priority can obtain PTZ control from other users. E.g. Operator is set to 5 in PTZ control and guest is 10, so operator has higher priority to control PTZ when they control PTZ at the same time. What’s the username and password template of NUUO Crystal™? Why does the NVR system time is changed after rebooting?